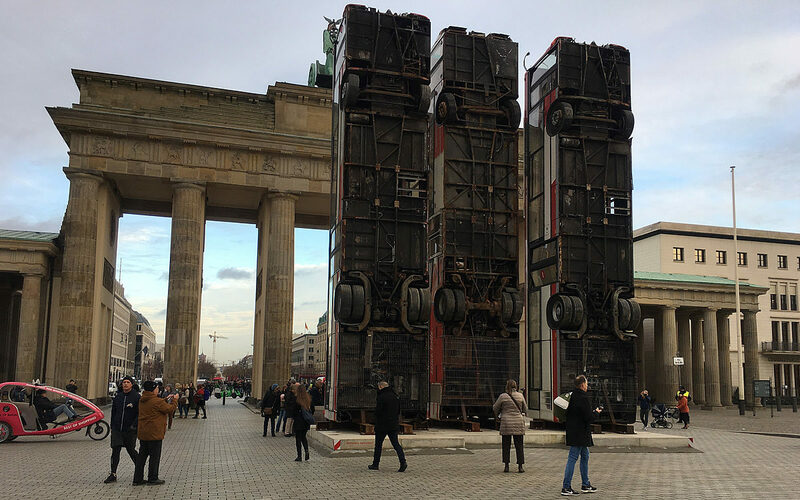 Installation with three buses by Syrian artists Manaf Halbouni at Brandenburger Tor, Berlin. In Aleppo, a similar barricade of three bus wrecks had been erected 2015 as a screen in front of snipers. A symbol of the madness of the Syrian civil war … buses with which citizens should go to work, students to university as a barricade against the enemy. The artwork came under criticism after a photograph suggested that the buses in the Syrian city, which had been destroyed by the civil war, had originally been set up by the Islamic terror group Ahrar Al-Sham. But does it change the symbol of the installation? 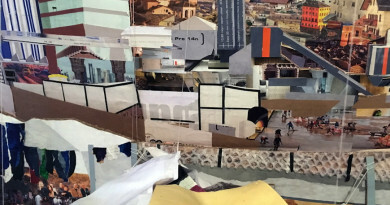 Responsible for the presentation of the installation is the Maxim Gorki Theater in Berlin, which annually receives around ten million euros in grants from the state of Berlin. On behalf of the theater, the German army had brought the monument with low-loaders from Dresden to Berlin in April. 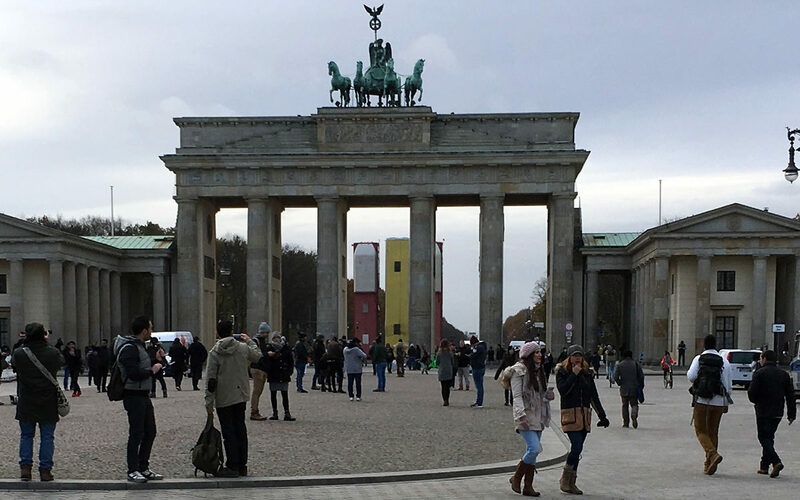 Here it is now until the 26th of November in front of the Brandenburg Tor. 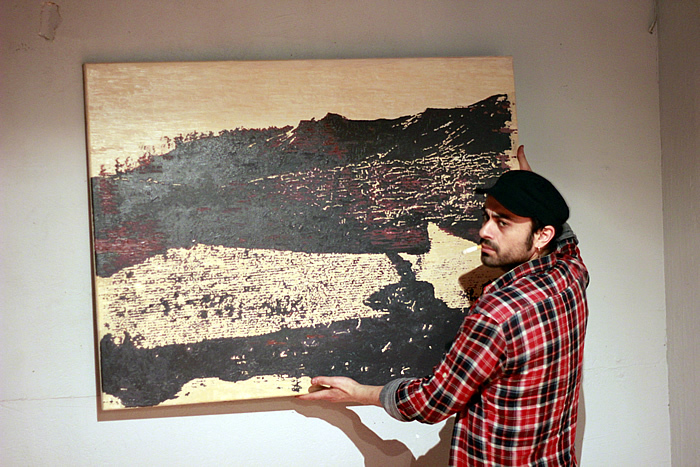 Manaf Halbouni left Syria 2009 2 year bfeore the revolution. 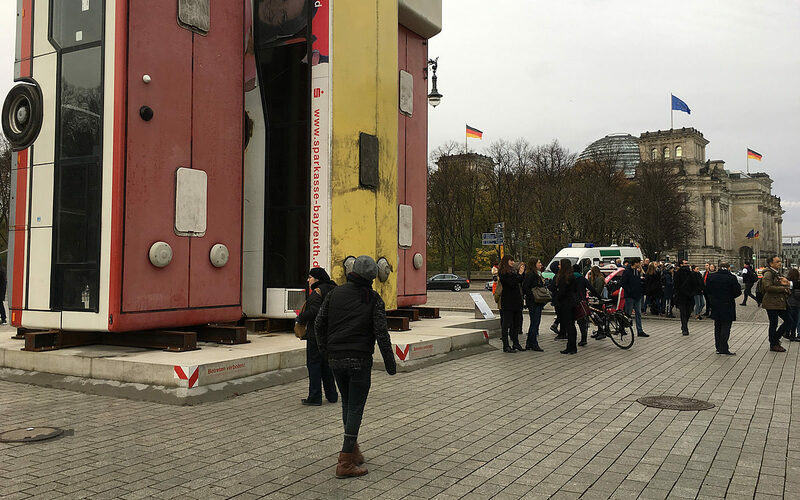 The temporary installation was opened in the presence of artist Halbouni, Gorki Theater co-director Shermin Langhoff and the patron of the action, Berlin’s cultural senator Klaus Lederer. 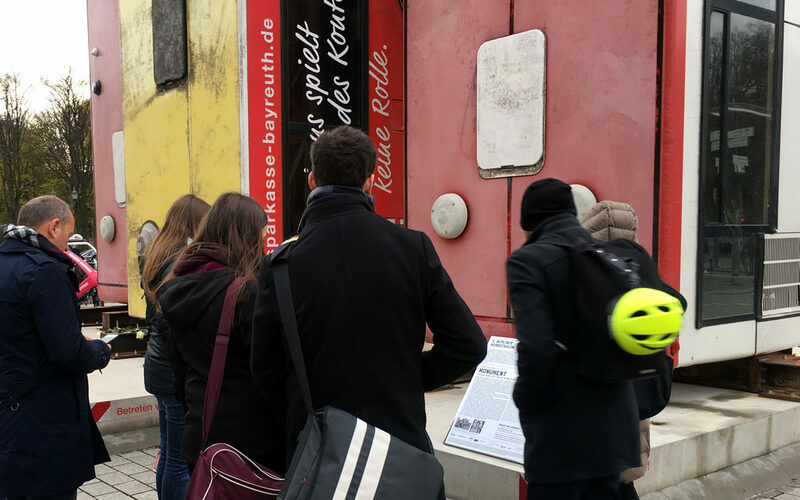 The sculpture “Monument” was on the Dresden Neumarkt from February to April 2017. There it triggered massive protests. 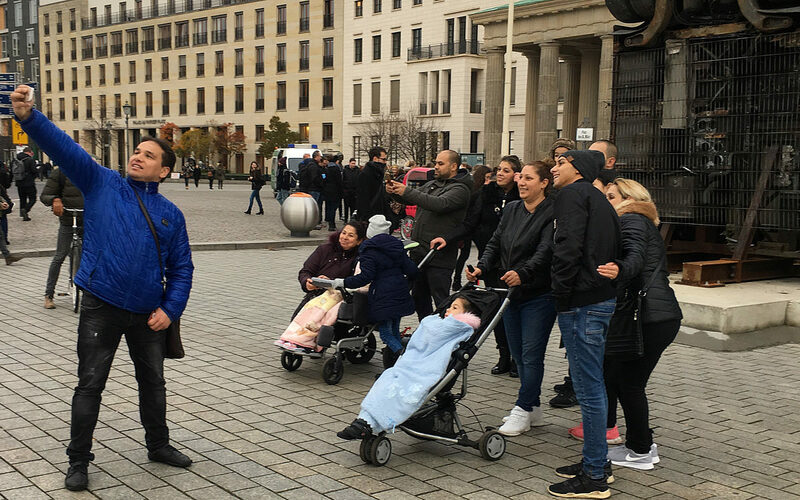 Supporters of the right-wing populist “Pegida” movement and the far-right identity movement saw in the Aleppo buses a provocation. 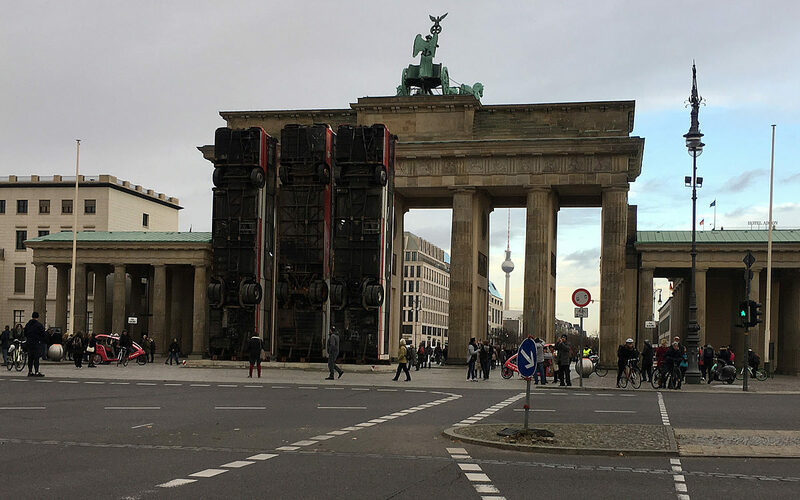 In their view, this was a distraction to the commemoration that commemorates the bombing of the capital of Saxony during the Second World War on 13 February each year. 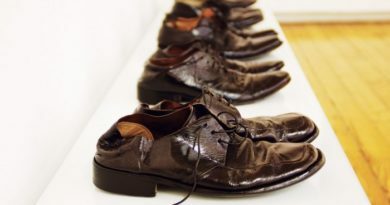 An overview in the foyer of the Maxim Gorki Theater informs about the backgrounds and the reception of “Monument”. 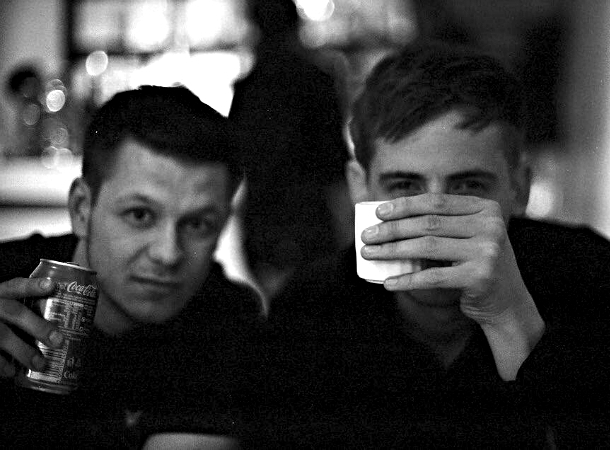 There will be an open artist talk with Halbouni on 17 November in the Lichtsaal in the Palais am Festungsgraben, Berlin. 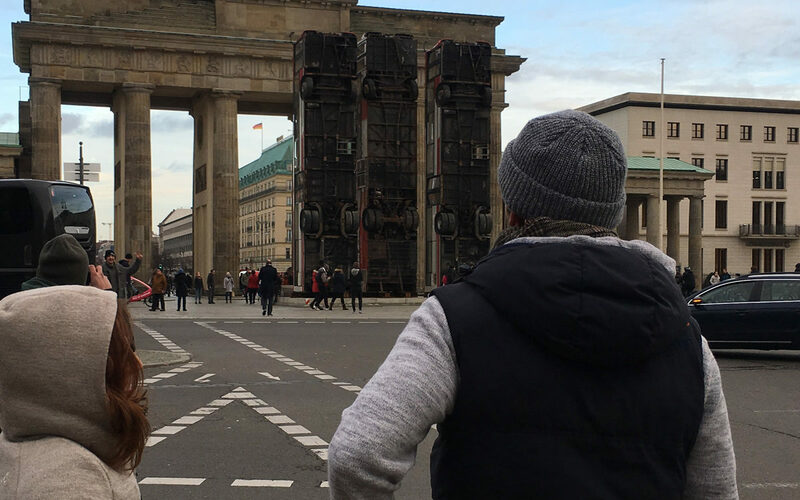 The sculpture will remain in front of the Berlin landmark until the 26th of November.